Portland Trail Blazers general manager Neil Olshey has been the punching bag of the Rip City fan base. Now, a couple weeks into the season, Olshey looks like an MVP. While the team on the floor is not significantly different than the team that was swept in the playoffs, the minor changes and organic growth within the organization have this group looking like a contender early on. 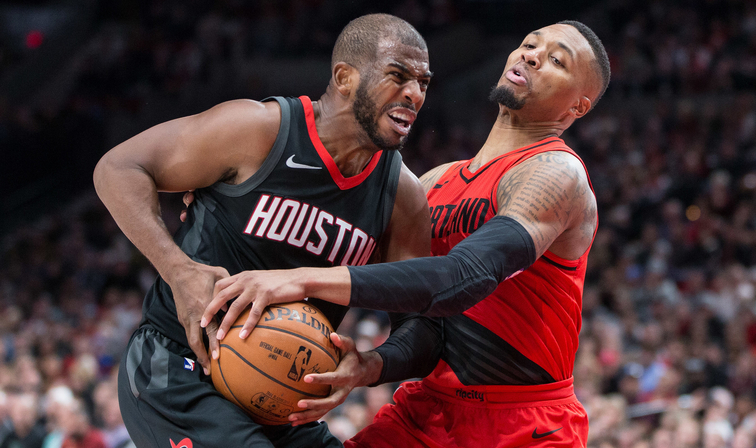 The Blazers just wrapped up a four-game road trip that could have gone completely different had they not had the depth on this roster that they have. Look no further than the game in Indiana. The Pacers are a playoff team in the Eastern Conference and may even host a series by being a top-four seed. The Blazers went into Indiana as their third road game in five days. To make matter worse, they found themselves in foul trouble very quickly. Damian Lillard and Jusuf Nurkic each picked up two fouls in the first quarter, and Meyers Leonard picked up three quick fouls (in three minutes!) as well. This made coach Terry Stotts look to his bench early on. Last year’s first-round pick Caleb Swanigan was called on for his first meaningful minutes of the season. Swanigan came in and posted career highs with 11 points and 10 rebounds in 18 minutes. Swanigan was great, but so was the rest of the bench. Zach Collins had 17 points, three rebounds, and three assists. Evan Turner had 13 points, eight rebounds, and three assists. Nik Stauskas had 10 points, three rebounds, and five assists. The leaders on the team for plus/minus were Turner (+23), Seth Curry (+23), and Collins (+22). All of this while Lillard and CJ McCollum posted negative plus/minus numbers. This was a complete team win, and it’s something that is a great sign so early in the season. Playing a complete game just six games into the year shows that Portland has the chemistry to make a push down the stretch. Curry and Stauskas are each shooting 50 percent from beyond the arc. Stauskas owns an astronomical offensive rating of 130. These things aren’t sustainable over an 82-game season but are great early indications that these two have carved out roles on this team. If it weren’t for Stauskas’ shooting in the opener against the Lakers, that might have been a different game. Napier and Connaughton have been playing well in their own rights. Connaughton is on the last undefeated team in the Association but has yet to play a major role for the Bucks. He has averaged about 14 minutes over four games and has been good defensively and not much of a factor offensively, shooting 36 percent from the field. Napier has averaged 16 minutes per game over four games and is averaging 10.8 points per game shooting 40 percent from the field. What is Zach Collins’ role by the end of the season? Collins has been great! Through six games he is averaging 11.8 points, 3.3 rebounds, and 2.0 blocks in 21.5 minutes. The advanced analytics are even better. There is a popular metric called TPA (total points added). You can read all about it here. For reference, the top three players in TPA so far in the season are Steph Curry, Nikola Jokic and Anthony Davis. Lillard is eighth. LeBron James is ninth. Joel Embiid is 18th. James Harden is 19th. All of this while coming off of the bench and playing 20 minutes per game. That role will be increased throughout the season. It will be interesting to watch if he overtakes Aminu as the starting power forward. Will Anfernee Simons or Gary Trent Jr. find their way on the court? Neither rookie has played a minute during the regular season, and with the emergence of Stauskas and Curry in the rotation, it is hard to see either finding a role without an injury in front of them. Both young guard showed the ability to create their own shot in the preseason and in summer league. Trent Jr. was an elite three-point shooter at Duke and Simons is kind of an unknown coming out of the IMG Academy. Any production from the rookies this year will be a benefit, but it definitely adds to the depth and potential of this team.